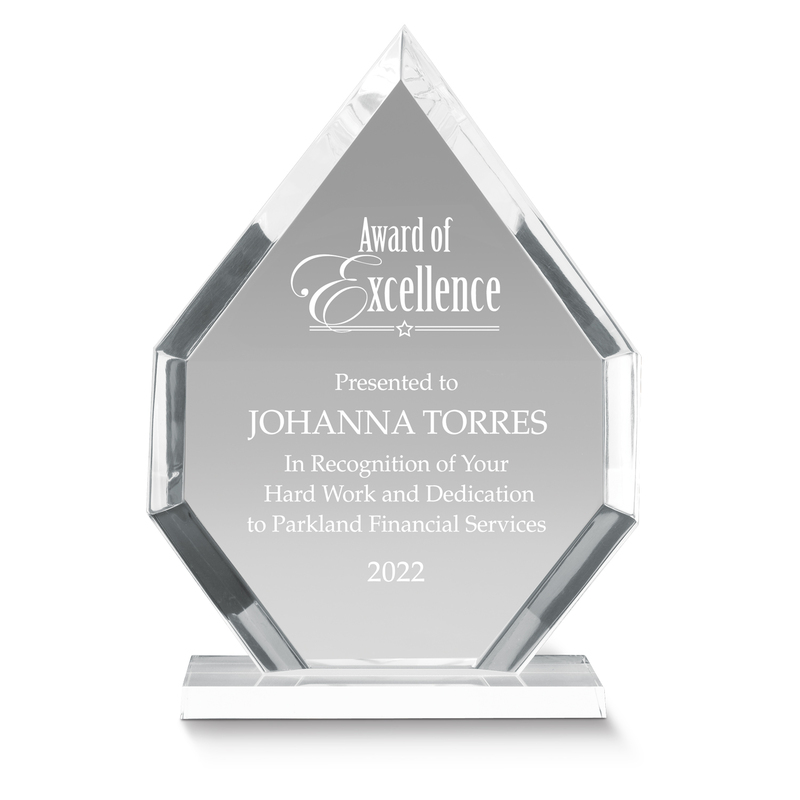 ...give them a personalized employee award that is a reflection of their success! 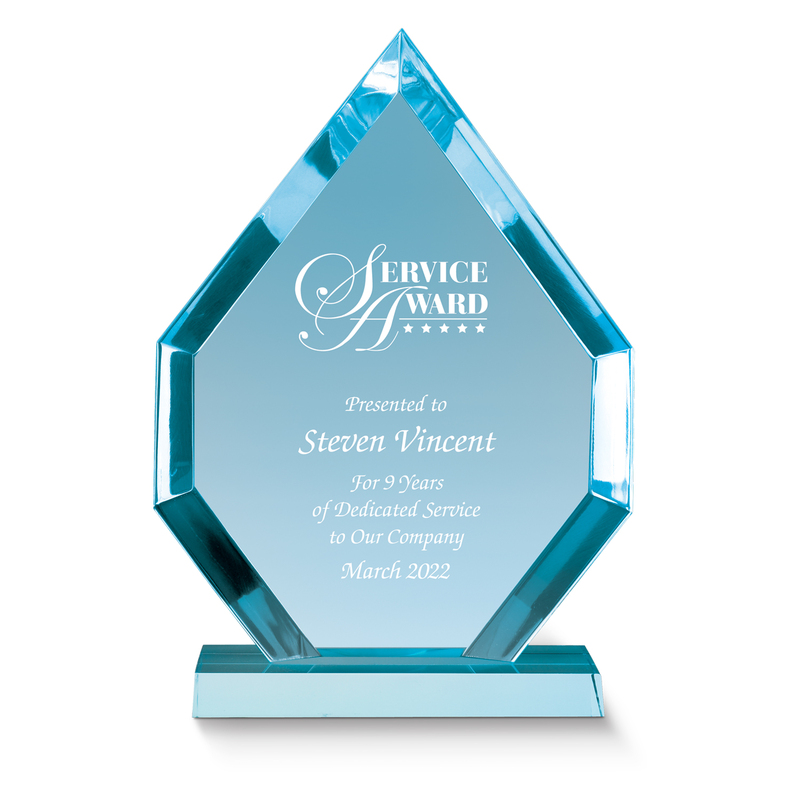 Crafted from luminous clear or blue acrylic, these unique desktop employee awards really stand out. The dramatic design is designed to give off a prism effect, catching the light from every angle. Consider these elegant awards for your top sales reps, employee of the month, or anyone who does a superior job. Engrave up to 8 lines, 30 characters maximum per line.